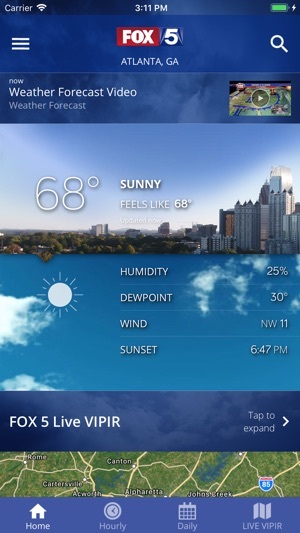 Track your local forecast for the Atlanta area quickly with the free FOX 5 Weather app. 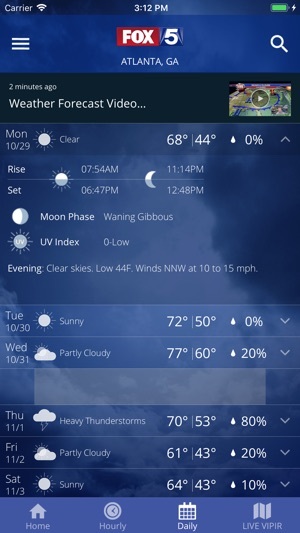 The improved design gives you radar, hourly and seven day weather information just by scrolling. Our weather alerts will warn you early and help to keep your and your family safe during severe weather. 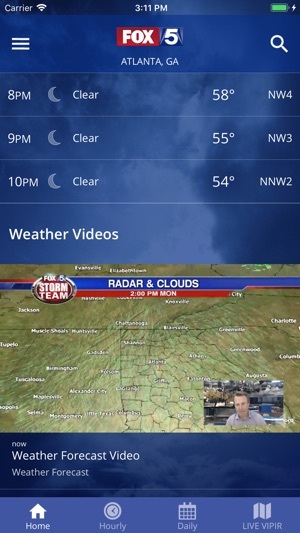 Why download the FOX 5 Team Weather Radar app? 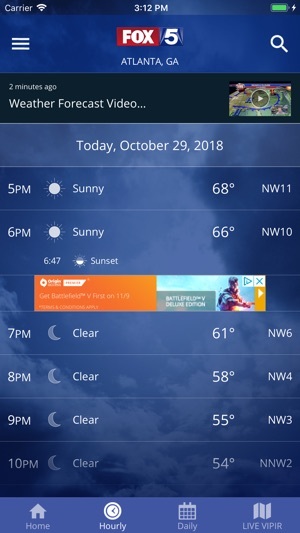 give you accurate conditions wherever you are located. you and your family can stay safe. 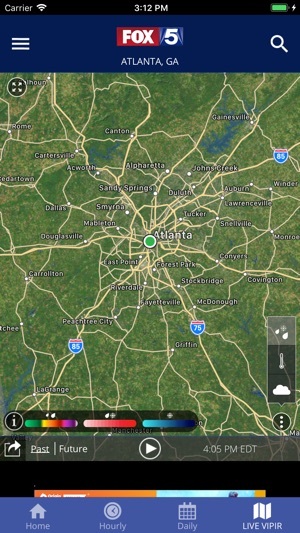 • Live traffic map for the greater Atlanta area. them on during the news on TV!